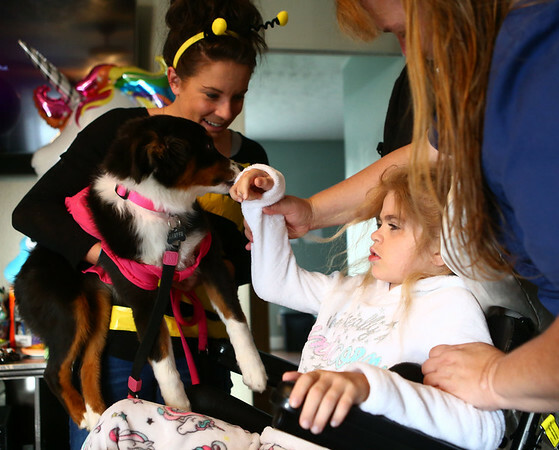 With assistance from her mom, Angela, 9-year-old Emily Sawyer pets Harper, as Sawyer’s former teacher at Eastern holds her dog up. Sawyer lost the ability to walk last February and is unable to trick-or-treat, so on Halloween evening, friends and a host of former teachers at Eastern came to visit with treats and gifts. Sawyer was diagnosed with a terminal neurologically degenerative disorder called Sanfilippo Syndrome.